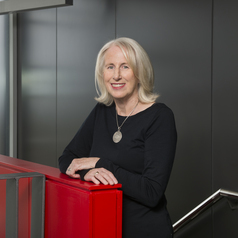 Fran Baum is Matthew Flinders Distinguished Professor and Foundation Director of the Southgate Institute for Health, Society and Equity. She was awarded an AO in June 2016 for her work in public health advocacy. She held an ARC Federation Fellowship from 2009-2014. She is a member of the Global Steering Council of the People’s Health Movement – a global network of health activist (www. phmovement.org).She also served as a Commissioner on the World Health Organisation’s Commission on the Social Determinants of Health from 2005-08. She is a Fellow of the Academy of the Social Sciences in Australia and of the Australian Health Promotion Association. She is a past National President and Life Member of the Public Health Association of Australia. Fran Baum is one of Australia's leading researchers on the social and economic determinants of health. She holds grants from the National Health & Medical Research Council and the Australia Research Council which are considering a wide range of aspects of health inequities and social determinants of health. Her book, The New Public Health (4th edition 2016 Oxford University Press), is widely used as a public health text.